The reality star is hoping she can keep her man in line. 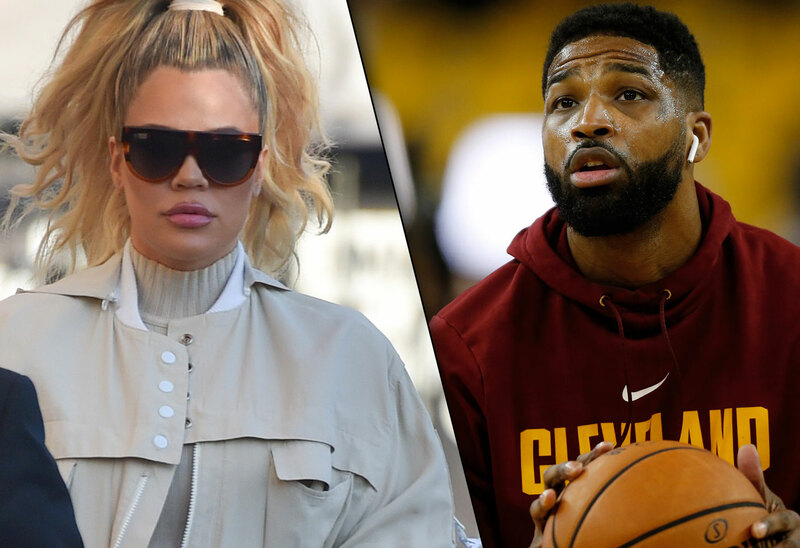 Khloe Kardashian is quick to post some PDA with boyfriend Tristan Thompson, but that doesn’t mean she completely trusts him. Earlier this year, the NBA player embarrassed the Keeping Up With The Kardashians star when news broke that he’d cheated on her just days before she gave birth to their daughter, True. Now, according to Radaronline.com, Khloe is following him back to Cleveland to make sure it doesn’t happen again! Click through the gallery to find out why Tristan does NOT want her to come. “Tristan thought he would be a free man once preseason began and be back in Cleveland alone but that’s not happening. Khloe and the baby are coming too,” a source close to the NBA star exclusively told Radar. Tristan played for the Lebron James-less Cavaliers. “He was shocked she wanted to come and be there full time knowing how he will be constantly on the road. He tried to convince her to stay in L.A. so her mom and sisters can help with True but she wanted to be by his side,” added the insider. As Star readers know, the Toronto native has felt trapped by the reality star. It probably doesn't help that her sisters don't like him, either. “He can’t catch a break and doesn’t want Khloe at this house full time during the season. But he can’t say anything. That’s his baby mama and he knows she doesn’t trust him which is the real reason why she’s moving back with him,” the source told Radar. Khloe only recently admitted that Tristan even cheated when she fought a fan on Instagram. She posted some rare PDA from their vacation earlier this month. Do you think it's a good idea for Khloe to follow Tristan to Cleveland? Sound off in the comments!